Seaports should become more competitive. The Cabinet of Ministers on 6 September decided to reduce harbour dues as of 1 January 2018. "We will reduce harbour dues. This is within our capability. Our ports are expensive, and business is constantly raising the issue of reducing the fees. We are reducing the fees to make ports more competitive," Prime Minister Volodymyr Groysman said, as quoted by the cabinet website. The cabinet did not elaborate on the size of the planned cuts. In the meantime, the Ukrainian News agency suggested that port, sanitary, berthing, channel and administrative fees would be reduced by 20 per cent. The government also decided that enterprises incorporated into the Administration of Seaports would transfer 50 per cent of their profit to the state budget as of 1 January 2018. 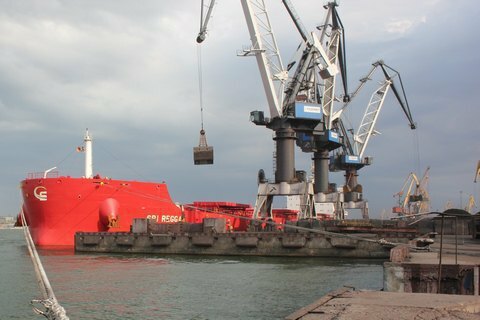 Harbour dues in Ukraine are two to three times higher than those of its export-oriented competitors.